In yesterday’s post, I began a 3-part summary of the teaching the men of our church received at our annual retreat this past weekend with Jonathan Holmes. 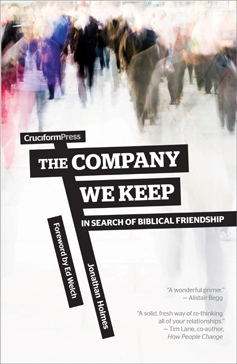 Part one in this blog series introduced the topic of biblical friendship by pointing out the human need for friendship. In today’s post, we take a look at four marks of a true, biblical friend. As you read each mark examine yourself as a friend and ask the Lord to cause you to grow where growth is needed. Also, if these qualities describe well any of your own friends then pause to thank the Lord for them. Many a man proclaims his own steadfast love, but a faithful man who can find? (Proverbs 20:6). Better is open rebuke than hidden love. Faithful are the wounds of a friend; profuse are the kisses of an enemy (Proverbs 27:5-6). Whoever rebukes a man will afterward find more favor than he who flatters with his tongue (Proverbs 28:23). Careful in his timing (Proverbs 27:14; 25:17). “An uncareful friend does not know the inner topography of his friend’s heart” [Keller]. …for by wise guidance you can wage your war, and in abundance of counselors there is victory (Proverbs 24:6). In tomorrow’s post, Part 3, we will learn about the ongoing disciplines that are required to forge and cultivate biblical friendship.